Rising from peasant origins, the House of Sforzas became military leaders and rulers in Milan. Members of this family also held important ecclesiastical and political position in the Papal States. The classical Sforza line by Vicenza Designs would be fit for any leader or ruler; however, its graceful sweeping lines bring elegance to the simplest of homes today. The Sforza large, square sweeping line hook comes complete with installation hardware. Install it in the bathroom, kitchen or anywhere you need hook to hang your robe, jacket or apron. 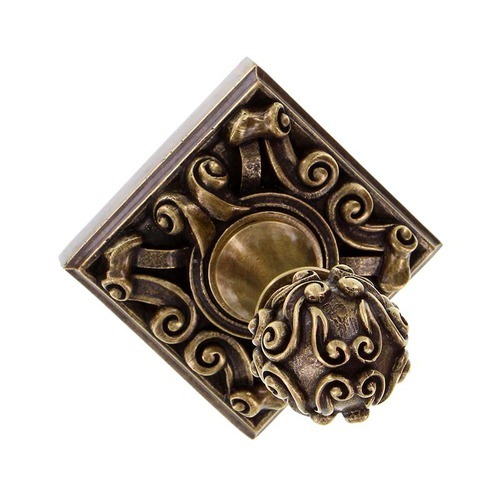 Available finishes include Antique Brass, Antique Copper, Antique Gold, Antique Nickel, Antique Silver, Gunmetal, Oil-Rubbed Bronze, Polished Gold, Polished Nickel, Polished Silver, Satin Nickel and Vintage Pewter. 100% lead free pewter. Handcrafted in the USA.